Comic, anarchic, touching and heroic full mask adventure. Joy is 83 today: she’s funny, loves to dance, and is losing her memory. Her grandson Danny is rebellious, fearless, bright and always getting in to trouble. When, out of the blue, Danny decides to look after Joy, they discover a shared playfulness and a mutual affection. But is that enough to take on the challenges ahead? 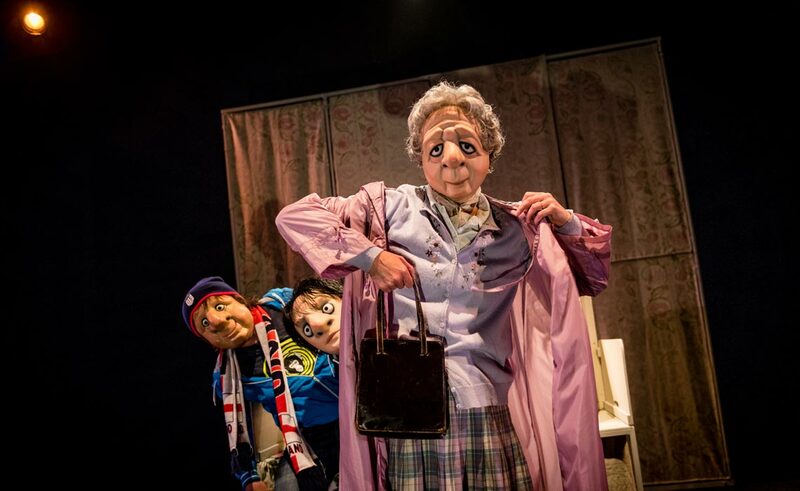 Vamos Theatre’s wordless theatrical world brings this story of lost memories and discovered love vividly to life, in the production that established them as the UK’s leading full mask theatre company.